Reversing a lower court, a Michigan appeals court rules that under state regulations a Medicaid applicant’s payments to a non-relative caregiver subjected the applicant to a penalty period because the caregiver did not have a written contract and a doctor had not recommended the service be provided. Jensen v. Department of Human Services (Mich. Ct. App., No. 319098, Feb. 19, 2015). Jason Jensen hired a non-relative caregiver for his grandmother, Betty Jensen, who suffered from dementia. Mr. Jensen and the caregiver had an informal agreement and no contract was signed, but Mr. Jensen paid the caregiver a total of $19,000 from Ms. Jensen’s assets over the course of the months she worked for Ms. Jensen. When Ms. Jensen’s condition worsened, she entered a nursing home and applied for Medicaid. The state established a penalty period, holding that the payments to the caregiver were an unlawful transfer. Ms. Jensen died before the penalty period ended. Mr. Jensen appealed, but the state upheld the decision. Under state regulations, payments to caregivers are considered “divestments” and transfers for less than fair market value unless there is a signed contract and a doctor has recommended in writing that the services be provided, among other requirements. Mr. Jensen appealed to court, and the trial court reversed, holding that the regulation requiring that a contract be in writing applied only to relative caregivers. The state appealed. Timing of a case varies. With expertise and experience and a hands-on approach we move swiftly. The size of our firm allows us to focus on cases so they don’t get lost in the shuffle. Unlike some other law firms, our legal team of attorneys, paralegals, research assistants, medical experts and more, have the experience and knowledge to avoid time lags. Many times cases are seåttled before even going to court. Of course, the plaintiff has a say in this decision and we do what is best for our client. 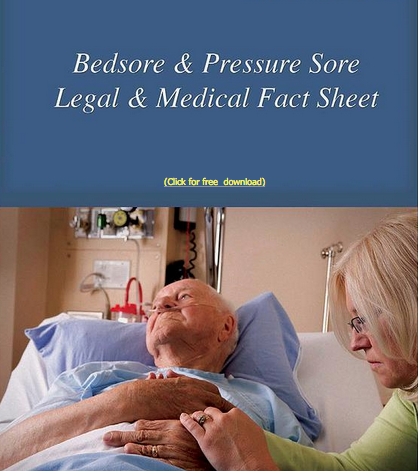 How do I know if I have a good bedsore lawsuit? The nurse said the sores were caused by my father and existed? What happens if my case loses-will i have any fees to pay? Absoultely not. We will not charge you one dime if we lose. No matter how much time or money we invest in your case we only get paid when we win. We do not accept every case offered to us. We use our expertise and team approach for cases of value to the victim and the firm. When a patient develops pressure ulcers, it is often a sign of neglect and can even be the result of hospital malpractice, nurse malpractice or nursing home negligence. Any time a patient is confined to a bed or chair for a period of time and not provided proper and adequate care, the risk of pressure ulcers increases. Sadly, pressure ulcers are the underlying cause of mortality and morbidity for several thousand patients across the country each year. Researchers analyzing the national Medicare Patient Safety Monitoring System (MPSMS) database found that the nationwide incidence rate for hospital-acquired pressure ulcers was 4.5 percent. The five states with the highest incidence rates are New York (5.2%), Missouri (5.3%), New Jersey (5.3%), Massachusetts (5.5%) and Pennsylvania (5.9%). The federal government, in its first year of a federal initiative to improve patient safety, recently imposed penalties aimed at reducing preventable harm. Five states saw a significant percentage of hospitals being penalized: New York, where 26% of hospitals were penalized by having their Medicare reimbursements cut by 1%; Missouri, 25%; New Jersey, 37%; Massachusetts, 22%; and Pennsylvania, 25%. In New York State, penalized hospitals included some well-known healthcare facilities, such as Beth Israel Medical Center and New York University Langone Medical Center. All sedentary patients are vulnerable, but the elderly and patients whose skin condition has been compromised are especially at risk. Pressure ulcers are most common on bony prominences with little protective fat or muscle (such as heels, hips, shoulders, and tail bones), and they develop when patients stay in one position for too long without shifting their weight. The constant pressure against the skin reduces blood flow to contact areas. The skin begins to break down and the tissue dies, possibly in a matter of hours. Friction and shear caused by sliding down in the bed, or being moved improperly from a stretcher to a bed can exacerbate the problem. 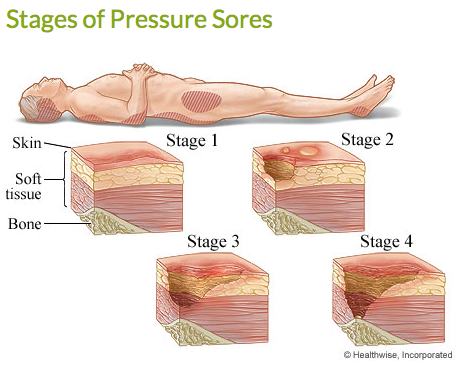 Pressure ulcers slow a patient’s recovery, can lead to other issues and infection and prolong hospital stays. The total annual cost for treating pressure ulcers in the U.S. is estimated at $11 billion. However, pressure ulcers (also known as bedsores and decubitis ulcers) are preventable. Because these seven steps are so easy to follow, when a patient develops pressure ulcers, it is often a sign of neglect and can even be the result of hospital malpractice, nurse malpractice or nursing home negligence. Upon admission to a hospital for another health concern the issues can go unnoticed, allowing further damage to take place in a relatively short time. This also creates liability on the part of the hospital. In many lawsuits that we handle, the hospital is dealt a bad hand by receiving a patient from a nursing home where a skin breakdown or pressure ulcer has already begun. At times, due to dementia for example, a patient may not be able to express or know how to communicate pain upon entering the hospital. However, this is no excuse for not identifying a high-risk patient and making regular daily assessments. To be clear, pressure ulcers are not the fault of the patient. The patient is a victim. Medical negligence by a hospital, doctor, nurse, aide or medical technician is unacceptable and may be the cause of pain and suffering, or even result in death. It is simply not acceptable for patients to develop bedsores or pressure ulcers while they are in the care of medical professionals and receiving medical care and treatment at a facility. There is no doubt that hospitals and staff, from talented skilled doctors, nurses and medical professionals to support staff and administration, do their best to help and treat patients. However, protocols exist in every facility, and perhaps, it is just a matter of every individual being a bit more aware, and caring just a little more, when dealing with the elderly and at-risk patients. By Brian A. Raphan (Principal Attorney, Law Offices of Brian A. Raphan, P.C. 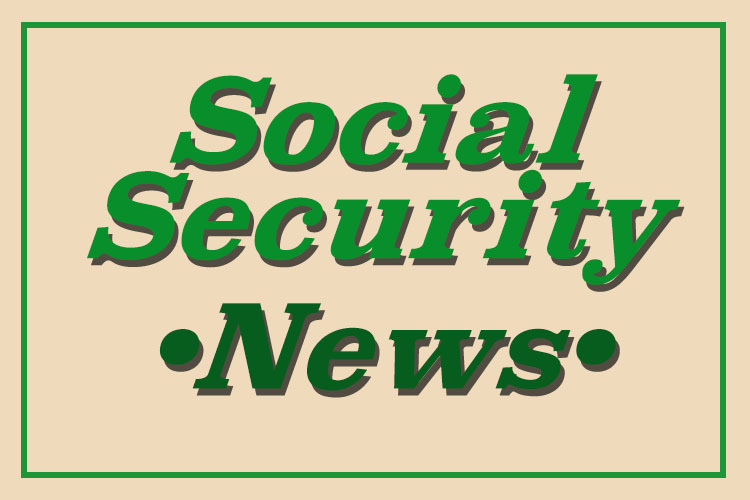 As previously reported, the Social Security Administration (SSA) recently instituted a nationally uniform procedure for review of special needs trusts for Supplemental Security Income (SSI) eligibility, routing all applications that feature trusts through Regional Trust Reviewer Teams (RTRTs) staffed with specialists who will review the trusts for compliance with SSI regulations. • Structured Settlements. The guide states that additions/augmentations to a trust at/after age 65 would violate the rule that requires assets to be transferred to the trust prior to the individual attaining age 65. It does not mention that the POMS specifically authorizes such payments after age 65, so long as the structure was in place prior to age 65. [POMS SI 01120.203.B.1.c]. • First-/Third-Party Trust Distinction. Throughout the guide, there are numerous references to first-party trust terms or lack of terms that would make the trust defective and thus countable. These references do not distinguish between the substantial differences in requirements for first-party and third-party trusts. • Court-Established Trusts/Petitions. This issue is more a reflection of an absurd SSA policy that is reflected accurately as agency policy in the guide, rather than an error or omission in the guide itself. This section, F.1.E.3, is titled “Who can establish the trust?” The guide states that creation of the trust may be required by a court order. This is consistent with the POMS. It would appear from the POMS that the court should simply order the trust to be created based upon a petition from an interested party. The potential pitfall described by the guide highlights is who may or may not petition the court to create a trust for the beneficiary. It states that if an “appointed representative” petitions the court to create a trust for the beneficiary, the trust would be improperly created and, thus, countable. Since the representative would be considered as acting as an agent of the beneficiary, the beneficiary would have improperly established the trust himself. In order for a court to properly create a trust according to the guide, the court should order creation of a trust totally on its own motion and without request or prompting by any party related to the beneficiary. If so, who else could petition the court for approval? The plaintiff’s personal injury attorney or trustee would be considered an “appointed representative.” Would a guardian ad litem meet the test under the guardian creation authority? How about the attorney for the defendant, or is there any other person? If an unrelated homeless person was offered $100 to petition the court, would that make the homeless person an “appointed representative” and render the trust invalid? The authors have requested clarification from the SSA and are awaiting a response. Until this issue is resolved, it might be prudent to try to have self-settled special needs trusts established by a parent, grandparent, or guardian whenever possible. • Medicaid Payback/Administrative Fees and Costs. Another area of omission involves Medicaid reimbursement. The guide states that “the only items that may be paid prior to the Medicaid repayment on the death of the beneficiary of the trust are taxes due from the trust at the time of death and court filing fees associated with the trust. The POMS, [POMS SI 01120.203.B.1.h. and 203B.3.a], specifically states that upon the death of the trust beneficiary, the trust may pay prior to Medicaid reimbursement taxes due from the trust to the state or federal government because of the death of the beneficiary and reasonable fees for administration of the trust estate such as an accounting of the trust to a court, completion and filing of documents, or other required actions associated with the termination and wrapping up of the trust. Activities for Life NY, LLC offers an amazing service that has been helping enhance the quality of life for many of our clients. My law office has used their unique services of for over 10 years because we have found they offer excellent 1 to 1 therapeutic recreation, tailored to our clients who have lost their connection to recreation and/or are unable to get out and enjoy life like they once did. I have personally seen some of my clients ‘come back to life’ under the tutelage of Marni Rose, President of Activities for Life. The goal of therapeutic recreation is to help stimulate a person mentally and/or physically through fun, engaging, and creative activities, regardless of age or illness. One of the most important aspects of working with Marni and her team is that they really ‘get’ how to communicate to all the involved parties of someone under geriatric care. Activities For Life’s relationships with personal care aides, care givers and managers, family members, and us lawyers allows her a 360 degree ability to coordinate the pieces with grace. I know that when my clients are contracting the services of Activities for Life, they will simply get the best that New York has to give in therapeutic geriatric services and live their best life possible. To see the benefits of Marni’s service see links below. What Happens to a Medicaid Recipient If the Spouse at Home Dies First? When one spouse is in a nursing home and applying for Medicaid, planning has to take into account the possibility that the spouse who is not in the nursing home (called the “community spouse”) may pass away first. This is because the community spouse’s death may make the spouse in the nursing home ineligible for Medicaid. In order to qualify for Medicaid, a nursing home resident can have only a limited number of assets. Careful planning can allow the resident’s spouse to maintain some assets. However, if that community spouse passes away first and leaves those assets to the nursing home resident, the resident suddenly would be over Medicaid’s asset limit. While the community spouse can write a will that disinherits the Medicaid resident, most states have laws that allow spouses to claim a portion of their deceased spouse’s estate regardless of what the will says. This is called the elective or statutory share. The amount the spouse can claim varies from state to state. A spouse can disclaim his or her elective share, but if a Medicaid recipient disclaims the inheritance, it is considered an uncompensated transfer of assets and the recipient may receive a period of Medicaid ineligibility. To avoid this, the community spouse will most likely need a will that addresses this issue. One option is for the community spouse to create a will that leaves the nursing home spouse exactly the amount of the elective share. Another option may be to create a special trust that contains the elective share. You should talk to your elder law attorney to determine the best course of action for you and your spouse. For more information about Medicaid, including a FREE GUIDE to Medicaid’s Asset Transfer Rules, click here. Being a caregiver not takes a lot of time and energy. And to be successful at it you need resources you can count on. 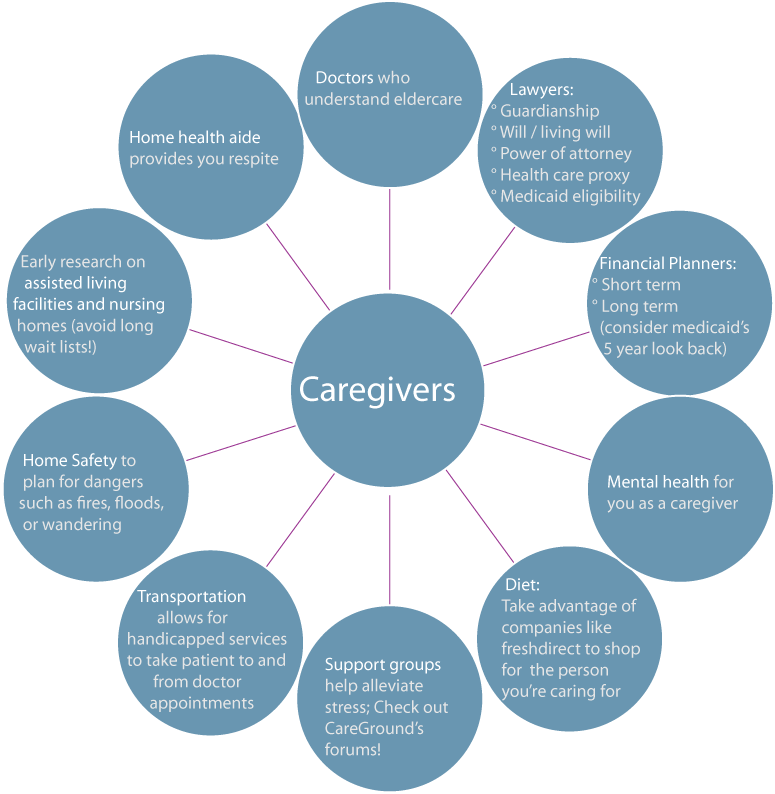 With you at the center, you can more easily take control of your caregiving with the proper support in place around you. Checkout http://www.careground.com. CareGround provides caregivers an online database of premier service providers focused on geriatrics and dementia care. CareGround listings include physicians, elder care attorneys, trust and estate planners, CCRC’s (Continuing Care Retirement Communities), and virtually all other providers of related services. This database is a collection of listings for elder care with search options including desired professional specialty and location. In addition, specialists in CareGround’s database are reviewed by CareGround members, so that other CareGround users can make more informed decisions regarding which service providers to utilize. Beyond listings, CareGround delivers informative periodic newsletters, smart editorial features and a vibrant community via help forums. Searched content, community contacts and personalized notes can be saved within the member’s individual profile, referred to as ‘My CareGround’. Membership is recommended and is entirely free.